In a bravery act attempted by Puducherry Lieutenant Governor (LG) Kiran Bedi, the retired Indian Police Service woman scaled a fence at the premises of the government officials. 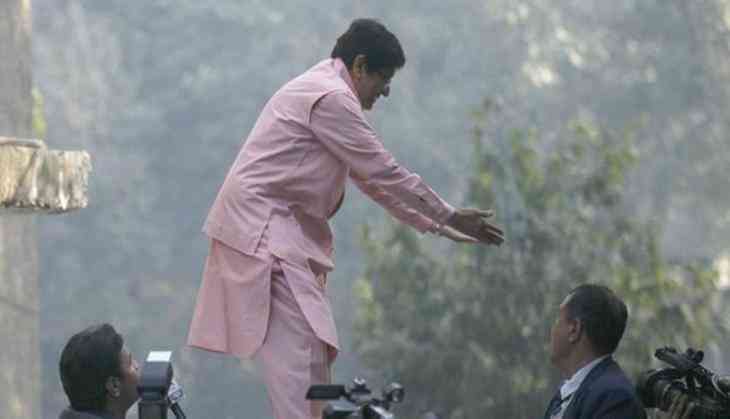 During her field visit to the hospital, Bedi wanted to inspect a statue of the "Our Lady of Lourdes" but the hospital officials lost the keys of the main door that forced Bedi to jump over 3.5-foot- high brick fence. Prior, she continued holding up as the authorities of the hospital misplaced the keys but suddenly she decided to jump the wall. She was on the visit to hospital with Karaikal District Collector R Kesavan, Senior Superintendent of Police V J Chandran and other officials. Bedi who prefers to riding bicycle was on five day visit to Karaikal, an enclave of the union territory. It was the fourth day of her visit to the hospital and has also described that the surroundings of the location is dingy and directed the officials to clean the place immediately. Bedi also met with the patients and took her hard step towards the working staff of the hospital. “If they do not report to work at Karaikal, hold their salary for this month,” she told the collector.